Semi-Automated — Trlby Innovative, LLC. 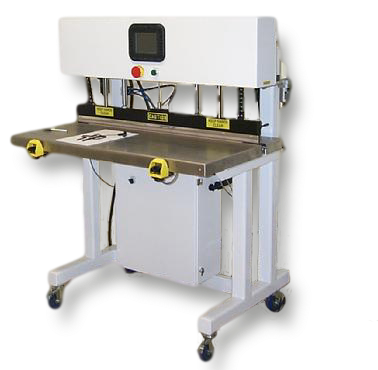 Trlby semi-automated heat seal machines are built to the same high standards seen in our fully-automated machinery. Sealing machines include state of the art heat sealing controls and our proprietary precision heating elements. Equipment options include data logging, cut seals, chillers to improve machine through-put, and enhanced safety features such as light curtains. Trlby semi-automated impulse heat sealing equipment is designed for ease of operation and maintenance, safety and reliability. We have experience with CE, UL and clean room requirements. Copyright 2019 Trlby Innovative, LLC. All rights reserved.